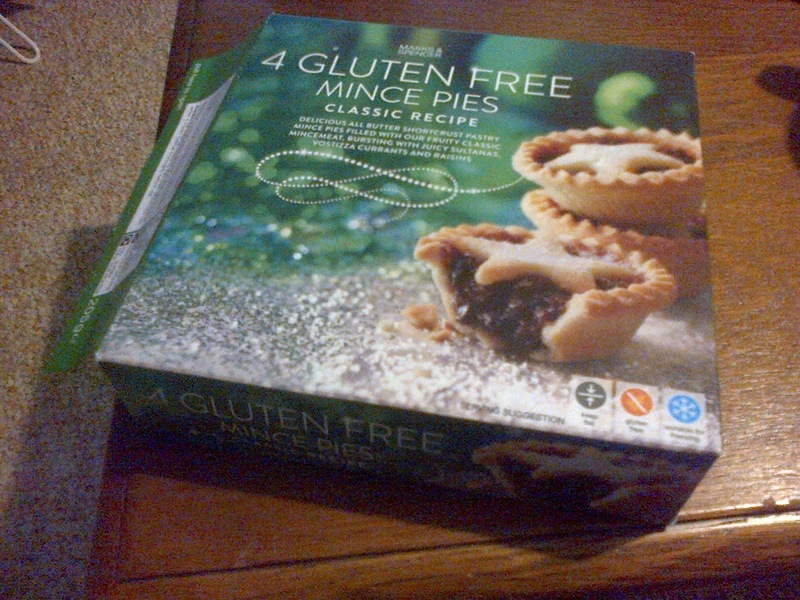 Whilst out the other day a family member presented me with a lovely looking box of four gluten free mince pies from Marks and Spencer. At first one wouldn't think that this was a Gluten Free product as it wasn't packaged in the normal 'Free From' style that most supermarkets use. This was quite nice in a way although I suppose there is the danger that fellow coeliacs might miss them! Upon opening the box, there were quite a few rather large crumbs which had been dislodged, however, I think this just reflects the transportation after leaving the supermarket. To confirm this I felt it was my duty to eat more than one box and the other box (transported by bicycle) was fine. 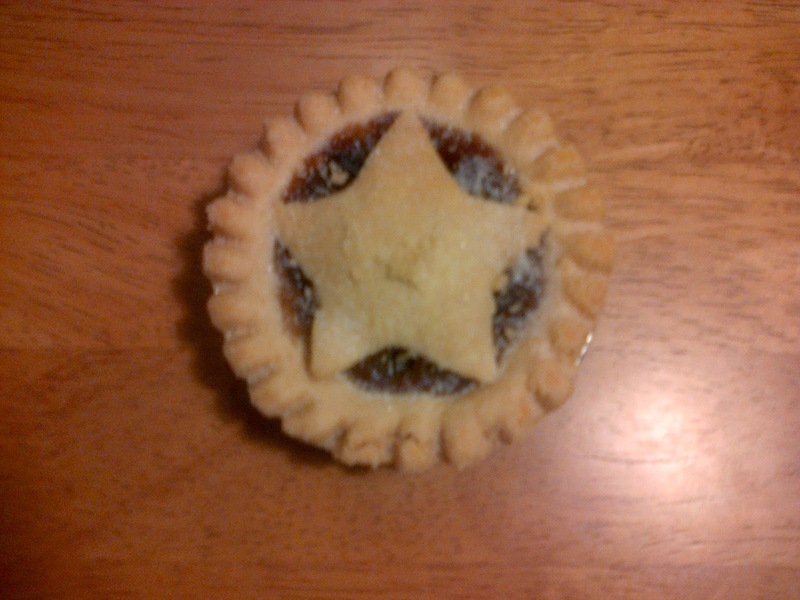 Although one could argue it may not be a pie as it is not completely enclosed in pastry, I do rather like the pretty star on top instead of a complete lid. But the real question is how would it taste? Would it beat the Pierate Recommended Gluten Free mince pies from Foodamentalists and We Love Cake? See below for scores! Condition – 5.75 out of 7 – This reflects the fact that the pasty is a little bit crumbly, but this is expected with Gluten Free pastry. its definitely not a pie that you think to yourself "I must not eat this in public to avoid a crumbly mess"!! Colour – 6.25 out of 7 – Pretty much the optimum colour I would expect for a mince pie. Cheapness – 5.0 out of 7 – At a bit over £3 this is pretty expensive even for GF products, but i must say it was worth it, especially the first box which was free to me!! Capacity – 6.0 out of 7 – Couldn't be much better, but it would be quite hard to hide it in this instance because you can see the filling. 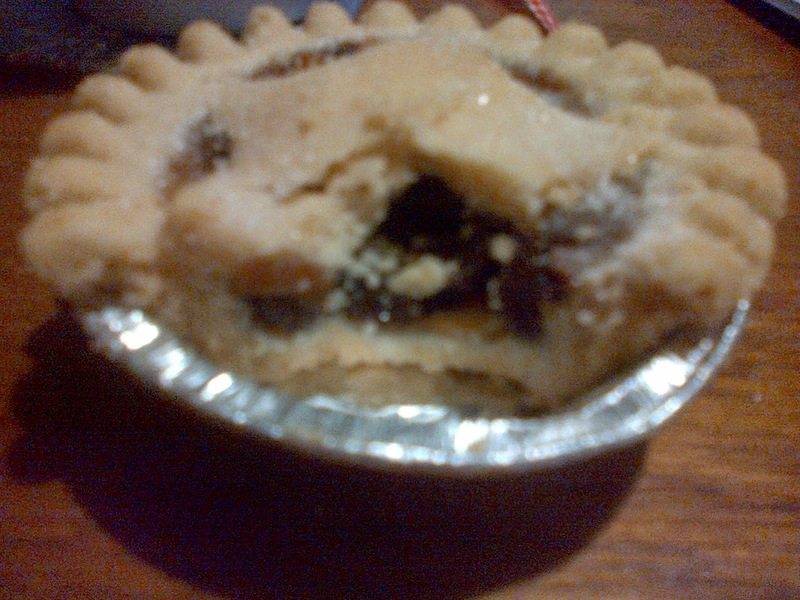 Chewiness – 6.5 out of 7 – Normally the mincemeat in mince pies is rather chewy. However, in these it is almost soft. It hasn't got full marks because there is some residual chewiness. The pastry was divine and melt in the mouth! Content – 6.25 out of 7 – I really liked the taste of the mincemeat which was the perfect sweetness and complimented the pastry very nicely. Consistency – 6.25 out of 7 – This worked well as a package, really great pie! To summarise, this is a fantastic pie! It doesn't just beat the other mince pies I have scored, it is infact the best shop brought mince pie i have ever tasted, including gluten ones (before i was diagnosed as a coeliac)!! So if you're Gluten Free, or you know someone who is, don't hesitate to go out to M&S and buy a box of these shining stars! Click here for all our Gluten Free pie reviews by Pierateer ALE.